Volcanic eruptions can be phenomenal and can have catastrophic effects. 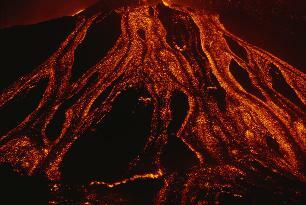 Eruptions occurring close to human population centers may spill lava which can destroy lives and property. Mass evacuations may have to occur. Ash is discharged high into the stratosphere that can have negative consequences on the ozone layer. If the ground is particularly wet such as following heavy rains or snow, the ash and mud can mix forming lahars. Lahars are fast moving mud flows which can entomb everything in its path. Think Pompeii. Plants are destroyed over a wide area following an eruption. Livestock and other mammals can be killed by lava flows, atmospheric effects and gases. As a result of the plant destruction, many animals will die from famine, forest fires and earthquakes caused by or related to the eruptions. After Mount St. Helens erupted in 1980, it is estimated that 11,000 rabbits, 6,000 deer, 5,200 elk 300 bears and 300 bobcats died from the pyroclastic flows. Aquatic life can be affected by an increase in the acidity in the water, increased change in temperature and the resulting change in their food supply. Many times, the media characterizes the devastation of a natural disaster in monetary terms. The bigger the lost of property and estimates of monetary loss to the economy, the more news coverage the natural disaster receives. As Preppers, we are most concerned with loss of life ... the extinction level event that results in TEOTWAWKI. Scientists have theorized that significant volcanic activity put so much ash and toxic gases in the atmosphere that the earth's temperature changed significantly, resulting in the extinction of the dinosaurs. Depending on the nature of the eruption, if ash particles are too small, then they block out incoming sunlight and the earth gets too cool. If they are two large, then they let in sunlight but don't let heat radiation from the surface out, and the earth gets warmer. 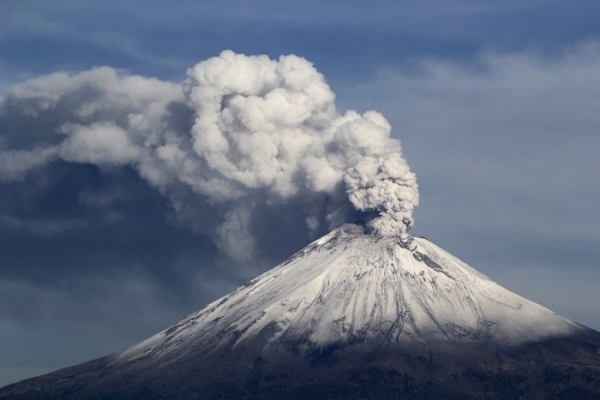 If the volcanic eruption is large enough, then there can be enough volcanic ash in the stratosphere to have one or the other of the climate change effects. Now that's real "climate" change you can believe in. In 1815 there was an explosive eruption of the Mount Tamboro Volcano in Indonesia (seen below). 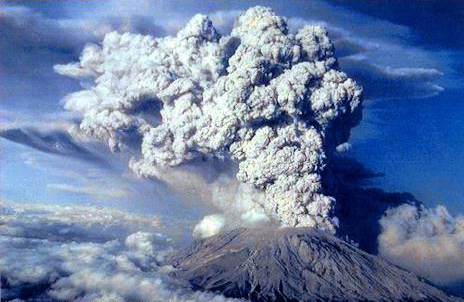 The subsequent caldera collapse produced volcanic ash spewing high into the stratosphere. 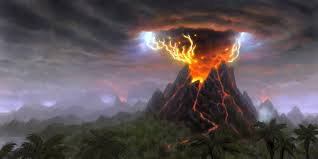 The eruption itself killed over 10,000 people and another 75,000 died from the resulting crop loss and famine. This is why we prep. 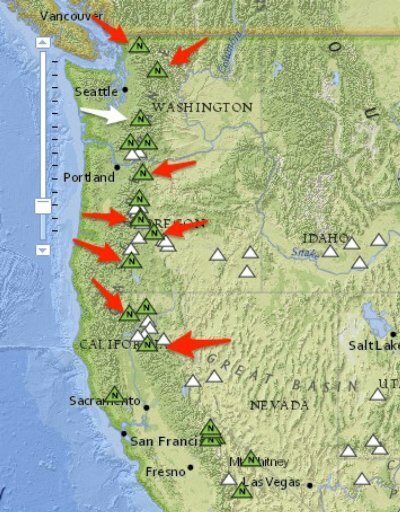 Of particular concern in the US are 13 very high threat volcanoes that are primarily located in the Pacific Northwest. in the Cascade Range. Part of the Cascadia Subduction Zone, they include Mount Shasta (CA), Crater Lake (OR) and Mount Ranier (WA). (BTW, this is a primary reason that I strongly disagree with our friend James Wesley, Rawles on his suggestion that the Redoubt of the West is the best bug out location). "while it's highly unlikely to happen"
According to the USGS, "If another catastrophic caldera forming Yellowstone eruption were to occur, it quite likely would alter global weather patterns and have enormous effects on human activity, especially agricultural production, for one to two decades. Scientists estimate that much of the US would be blanketed in ash. Communications and transportation routes would be severed. Secondary ash could fall as far east as the Atlantic seaboard. The resulting ash cloud, or "umbrella" would be so strong that it would overpower normal wind patterns in North America, grounding all air travel throughout the US. According to one geologist, the eruption will create its own winds that can overcome the prevailing westerlies that we are accustomed to. So, what's the good news? The last eruption of the Yellowstone Super Volcano occurred about 640,000 years ago. Highly unlikely? Not so fast, however. The Yellowstone supervolcano has generated this kind of eruption at least three time in its history: 21. million years ago, 1.3 million years ago, and the aforementioned 640,000 years ago. See the pattern? We're due. Fears of a possible eruption of the Yellowstone Supervolcano spiked in 2014 with a nearly 5.0 magnitude earthquake striking in Yellowstone. One of the park's major roads melted. Wildlife were seen fleeing the area. Is it the time to press the panic button? We are Preppers, we don't panic. We prepare.